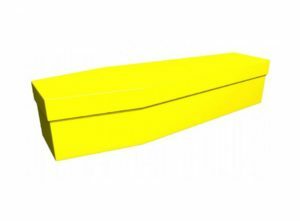 Our single-colour coffins are a great way to mark someone’s life in a vivid yet understated way. A block colour can represent a great many emotions and personality types, or could simply be chosen because they were that person’s favourite colour. We receive requests for coffins of all colours, from black to light pink, from red to green. 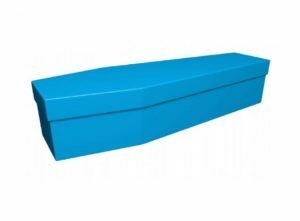 Other popular coffin block colours are yellow, brown, burgundy, light blue and royal blue. 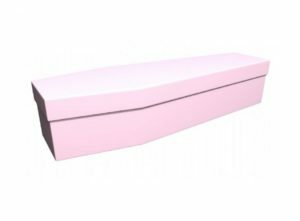 Our state-of-the art printing facilities ensure the chosen colour is printed in vibrant, durable inks to ensure that the finish of the cardboard coffin is perfect for your loved one. 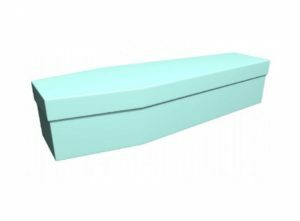 If you want any other design touches, our art studio manager, Jonny, and his dedicated team will be happy to realise your ideas. Even if you only have the seed of an idea, our team will work it into a fitting design for the deceased. We can have a visual proof with you within 24 hours – by post or by email. Once you’ve approved the design, we will set about completing the coffin within the next 72 hours.